The Marcy Cast Iron Vinyl Dipped 18kg kettlebell is an ideal tool that can help you develop functional strength, power and endurance. It does not only allow for muscle toning but also enables you to burn calories. 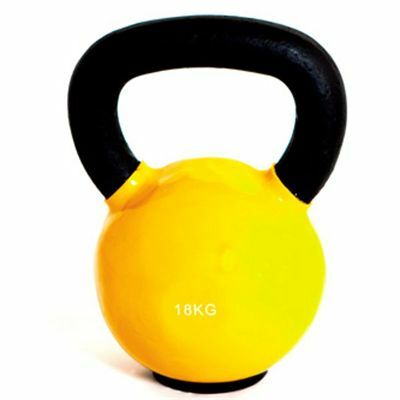 The kettlebell weighs 18kg and has a cast iron construction with a vinyl coating. With its big handle, you can grasp the kettlebell using both hands. It has also been equipped with a rubber mat at the bottom, which reduces noise during usage and offers protection for the floor as well as the kettlebell. for submitting product review about Marcy Cast Iron Vinyl Dipped 18kg Kettlebell.